Kanchipuram is famous for more than silk sarees! 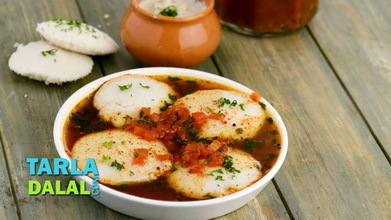 In fact, this special savoury idli got its name from that small town in Tamil Nadu. 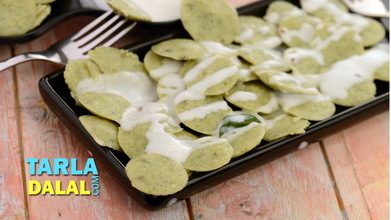 It is offered at the Sri Varadharaja Swamy Temple, and food-lovers are generally prepared to even withstand the hardships of a long queue to buy the prasad of tasty Kanchipuram Idli from there. 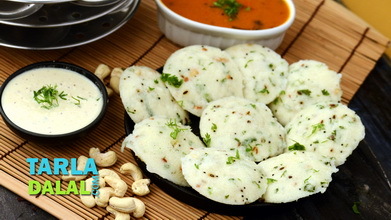 Indeed, with an elaborate tempering of assorted spices, these idlis are a mouth-watering treat. 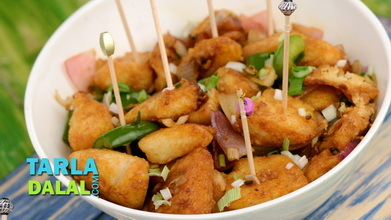 Here is how you can prepare it in your own kitchen. 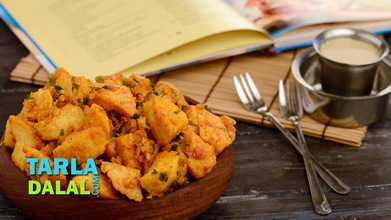 While we have prepared it using idli plates for your convenience, this batter is traditionally cooked in small greased katoris or in a large, round, flat cooker vessel and then sliced into squares or triangles. 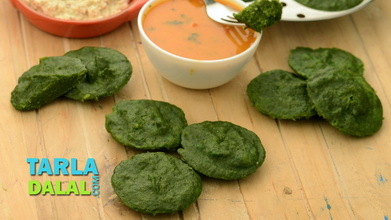 To make kanchipuram idli, you have to combine the urad dal and enough water in a deep bowl and mix well. Cover with a lid and keep aside to soak for 4 hours. 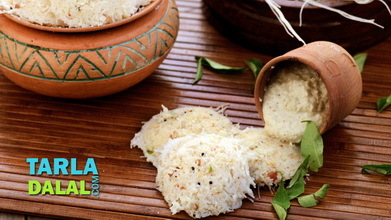 Combine the par-boiled rice, raw rice and enough water in a deep bowl and mix well. Cover with a lid and keep aside to soak for 4 hours. Wash and drain the urad dal and blend in a mixer to a smooth paste using approx. ¾ cup of water. Transfer the mixture into a deep bowl and keep aside. Wash and drain the par-boiled rice and raw rice and blend in a mixer to a slightly coarse paste using approx. ½ cup of water. Add this mixture to the urad dal mixture, add the salt and mix well. Cover it with a lid and keep aside to ferment in a warm place for 10 to 12 hours. After fermentation, add the turmeric powder and dried ginger powder and mix well. 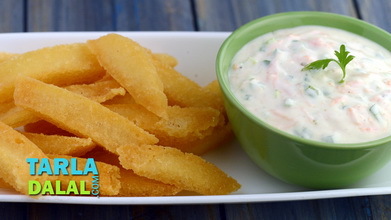 Keep this batter aside. Combine the cumin seeds and peppercorns in a mortal pestle (khalbatta), crush to a coarse mixture and keep aside. Heat the sesame oil and ghee in a small non-stick pan, add the chana dal and sauté on a medium flame for 1 minute. Add the mustard seeds, urad dal, cumin seeds-peppercorn mixture and green chillies and sauté on a medium flame for 1 minute. Add the cashewnuts and curry leaves and sauté on a medium flame for another 30 seconds. Add this tempering to the kanchipuram idli batter, mix well and pour spoonfuls of the batter into each of the greased idli moulds. Repeat with the remaining batter to make more kanchipuram idlis. 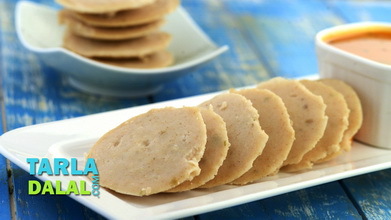 Allow the kanchipuram idlis to cool slightly and demould them. 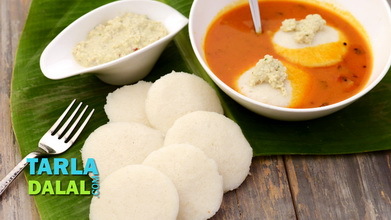 Serve the kanchipuram idli hot with kolumbu and coconut chutney.